This is probably the most famous surf spot in Portugal, World Class wave and one of the best beach breaks in the world. Supertubos in Peniche hosts the Rip Curl Pro Portugal Championship every year when the autumn swells come. The top surfers competing in WSL (World Surf League) come to Peniche and show their amazing performance. Do not miss this event at Super Tubos. This year in October 18 – 29 2015. Filipe Toledo is the defending champion from 2015 Rip Curl Pro. This surfers treasure is located in the south of Peniche between the Molho Leste surf spot and Praia da Concolação. These super barrels are just for experienced surfers. The waves are fast and steep at Super Tubos. Late take offs are hard paid and boards break. Can be crowd in favourable conditions and when it gots bigger, there are lots of bodyboarders. The Super Tubos is working with the southwest or west swell and the most consistent wind blows from the north. 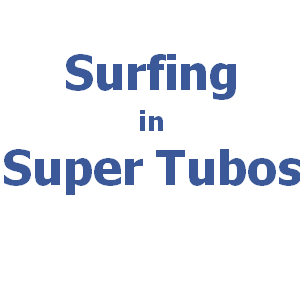 The best time for surfing at Super Tubos is with the middle and high tides. Wave length is from 50 to 150 meters. The best time to see high quality surfing is in October. Come to Super Tubos to check the WSL – Rip Curl Pro Portugal.